Let Dogs Be Dogs with Marc Goldberg! *To be paid by CHECK ONLY to "At the end of your leash" and mailed to the above location. **Lunch and all other meals will be the responsibility of the attendee's, though we will organize lunches together and will do a dinner together. ***Although this is not a worksop in which dogs are allowed, we will be looking for just a few demo dogs. - If you happen to have these dogs, please let me know privately. 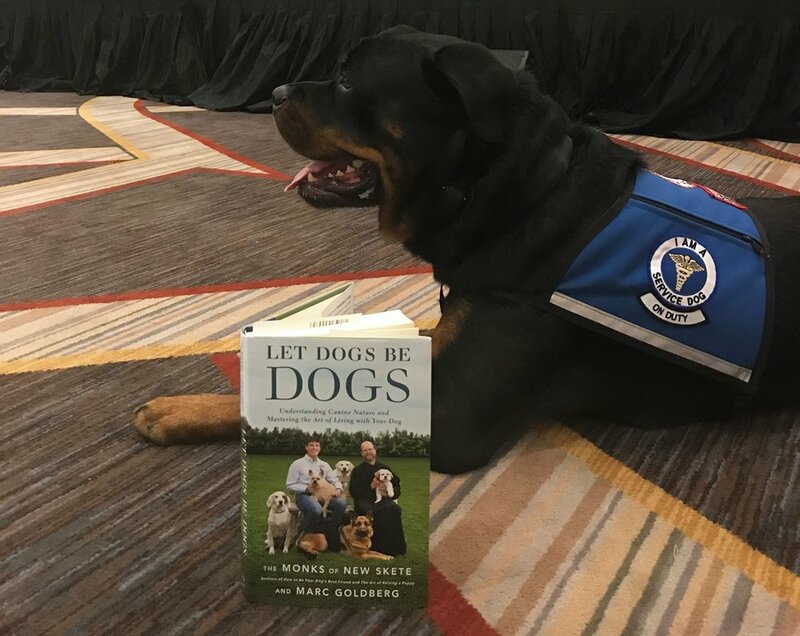 LET DOGS BE DOGS: the book! - Koehler origin and how it can be modernized to be more gentle and effective to build focus, loose leash walking and reduce / eliminate leash aggression. - Reliable Recall’s using “Pack-up” - ForceFree E-touch dogs have reliable recalls, even at a distance with distractions! Learn the secrets that give you results! - Handiest skill ever for securing your dog while cleaning up a spill or answering the door. - Jumping, excessive barking, marking, counter surfing, food stealing, cat chasing, litter box snacking, digging, fence jumping…. no problem! - How to use the ForceFree™ method to desensitize dogs to trigger distractions, starting with distance. Handouts: Tether, dragline, straw, 24 hour vow of silence, fear of humans, potty journal, go home journal. There will be plenty of time for Q&A, book signing and photo ops!